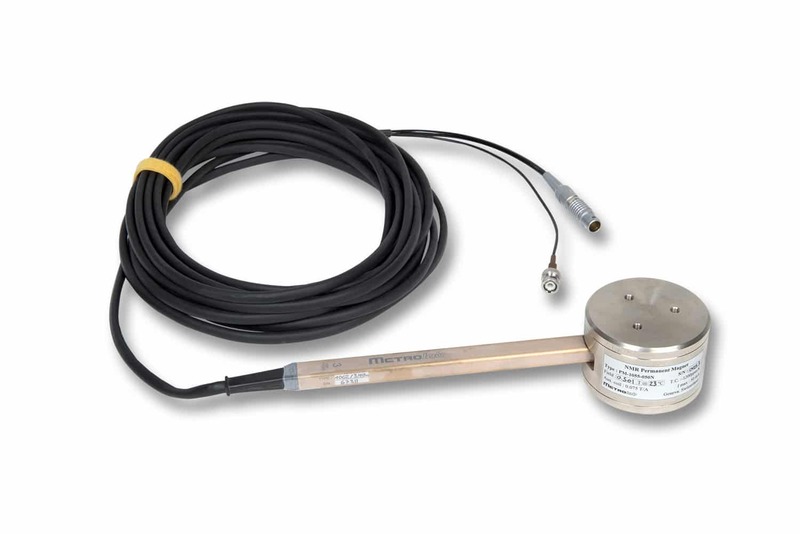 Metrolab's permanent dipole magnets are serious scientific instruments, in a deceptively small and elegant package. 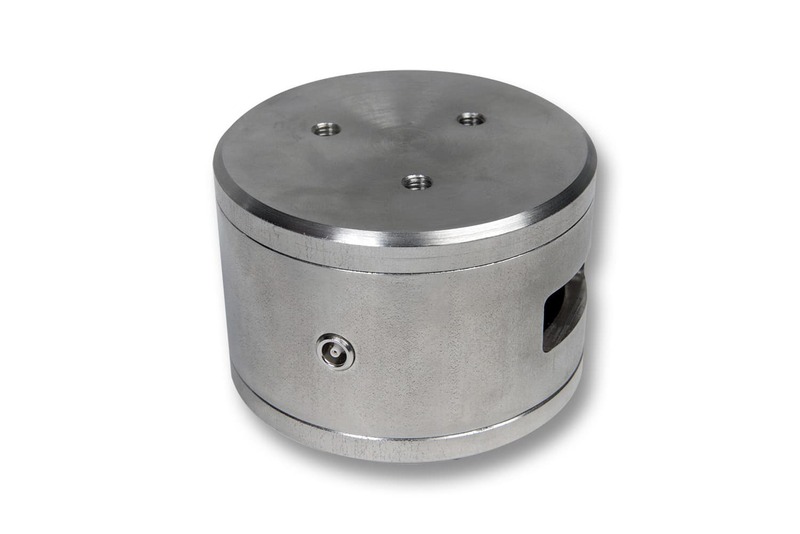 Available in fields from 0.01 to 0.5 T, they are remarkably compact, weighing just around a kg and measuring 80 mm in diameter and 39 mm (0.01 - 0.27 T) or 55 mm (0.5 T) high. Depending on the strength required, we use Ferrite, Samarium-Cobalt, or Neodymium-Iron-Boron as core material. The pole face diameter is 50 mm, and the gap is 13 mm. The unique pole shape and gap adjustment allow us to create a 12 mm uniform region, capable of accepting NMR probes. In spite of such tight requirements in an incredibly compact package, our design allows for two large openings (32 mm x 14 mm) for accessing the gap, as well as a small fringe field. All permanent magnets are sensitive to temperature. The strength of the core material itself decreases with increasing temperature, and thermal expansion changes the pole gap and therefore the field. 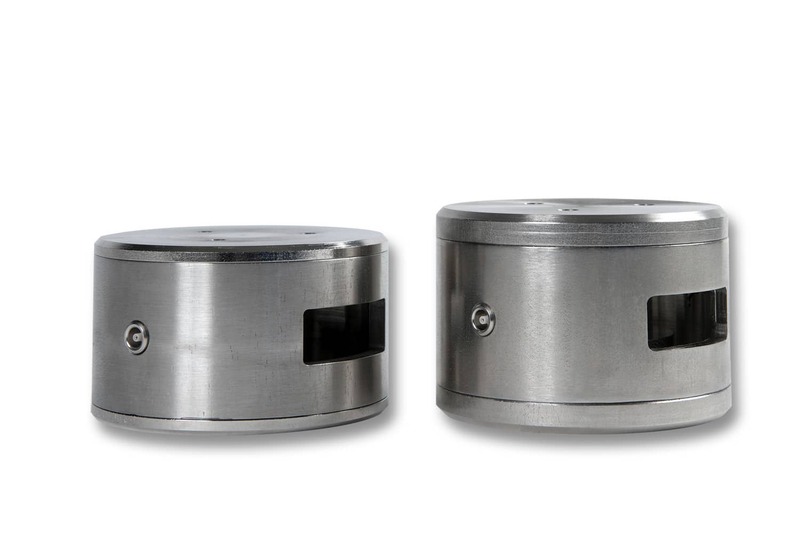 PM1055 magnets include an auxiliary coil to offset all drift and to provide a perfectly stable field. 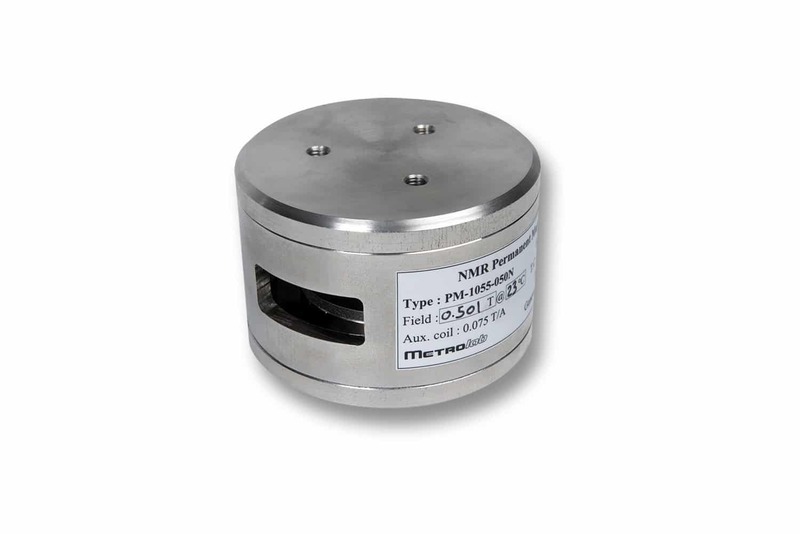 If you stabilize the magnetic field with an NMR teslameter, the PM1055 becomes an ultra-compact reference magnet, stable to within a few parts per million. After assembly, each PM1055 magnet is serialized and individually characterized with an NMR Precision Teslameter. The exact field strength in the middle of the pole as well as a few representative points near the periphery, the temperature at which the field strength was measured, the temperature coefficient, the characteristics of the auxiliary coil – everything is marked right on the label. All magnets generate a fringe field, or field outside the primary gap. You need to know the characteristics of the fringe field not only to avoid sucking up nuts and bolts (potentially dangerous for yourself as well as the magnet), but also to avoid placing ferrous material where it affects the value of the field in the gap. Those lucky enough to own a Three-axis Handheld Magnetometer can of course easily map the fringe field; others will be happy to receive Metrolab’s fringe field characterization. (1) MagVector MV2 is uncalibrated. (2) FDI2056 field range depends on coil area. (3) MagVector MV2 range can optionally be set to 30 T (uncalibrated). (4) Portability of MagVector MV2 depends on integrator's design.